Today we find ourselves facing the first Monday of 2015 and with that a sad realisation that the holidays are officially over and it's back to work and a normal routine that doesn't involve scoffing chocolate for breakfast every morning. For those still missing the festive feeling and with an hour on their hands for a bit of YouTube catch up, I've rounded up this year's Vlogmas four-parter below which, fingers crossed, should be enough to ease your Christmas cravings. Part One - [here] Things got off to a little bit of a slow start - vlogging on a Monday is never the most thrilling experience, but midweek Darren's band Fantana played an awesome gig which I managed to get a snippet of - followed by a cheeky late night McDonald's drive through, oops! 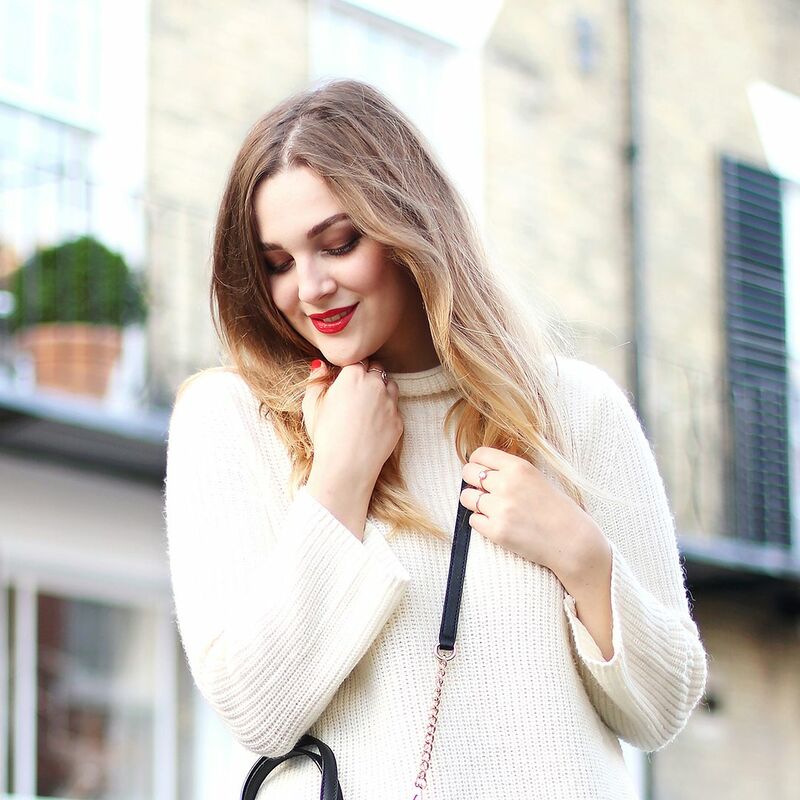 Other highlights include a rummage around in my grocery shopping, opening advent calendars and a behind the scenes look at my Winter Coat Lookbook. We started shopping for Christmas decorations, put up the tree and I got my first festive coffee fix of the month. Part Two - [here] This week was an incredibly busy one and unfortunately I didn't manage to pick up the camera as much as I would have liked, but an intense week of Birthdays, work and a whirlwind trip to London were rounded off with a lovely weekend away in Brighton. Darren and I met up with Suzie and Josh and we attempted to eat the biggest burger and chips I've ever had placed in front of me, took a lovely stroll around a very festive looking city - expect many shots of twinkly lights, and stayed in a pretty funky hotel complete with pink floors and a see-through toilet door. 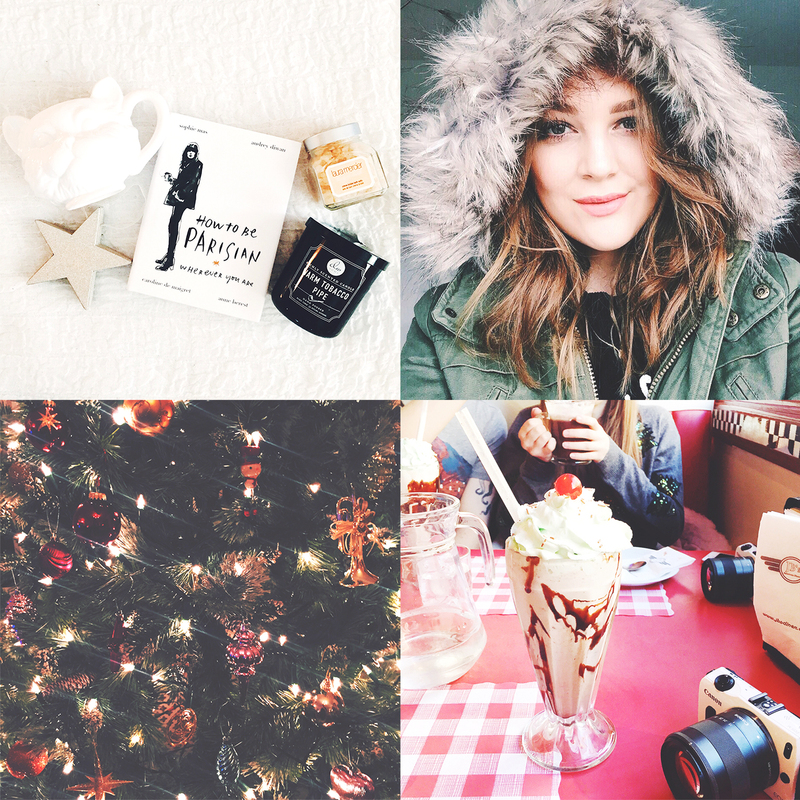 Part Three - [here] The third instalment of Vlogmas was my favourite by far. Suzie came to visit, this time with Nala in tow (who I'm convinced is the sweetest dog in the world) and we spend a hilarious afternoon filming some festive-themed videos (check them out here) which was rounded off perfectly with a Nando's and a good chat. On the weekend I finally made it to my favourite Christmas market of the year in Winchester and spent the day wandering around the stalls, doing some last minute shopping and getting into the festive spirit. Part Four - [here] A short and sweet final vlog summing up my Christmas Day, spent visiting family, eating ALL the food (Christmas dinner is possibly my favourite meal of the year) and vegging out on the sofa in festive pyjamas after a lovely but tiring day.